Rabbi at Péczel, Hungary, where he died at the age of twenty-eight, before 1825. 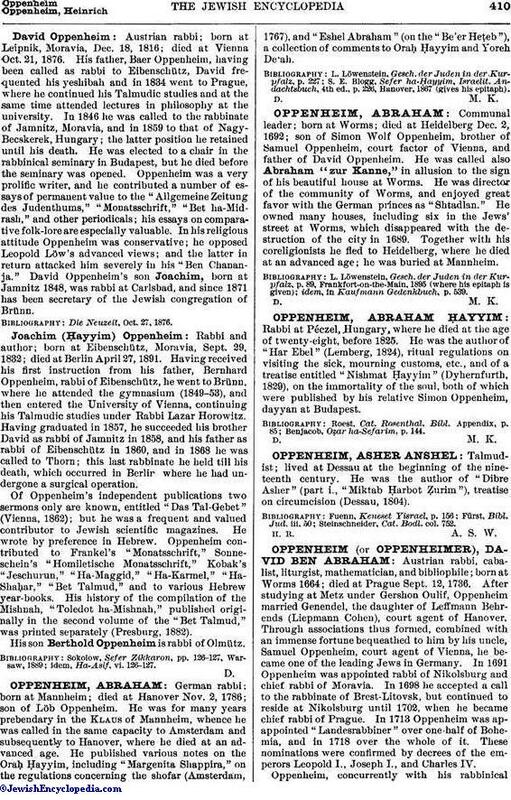 He was the author of "Har Ebel" (Lemberg, 1824), ritual regulations on visiting the sick, mourning customs, etc., and of a treatise entitled "Nishmat Ḥayyim" (Dyhernfurth, 1829), on the immortality of the soul, both of which were published by his relative Simon Oppenheim, dayyan at Budapest. Benjacob, Oẓar ha-Sefarim, p. 144.